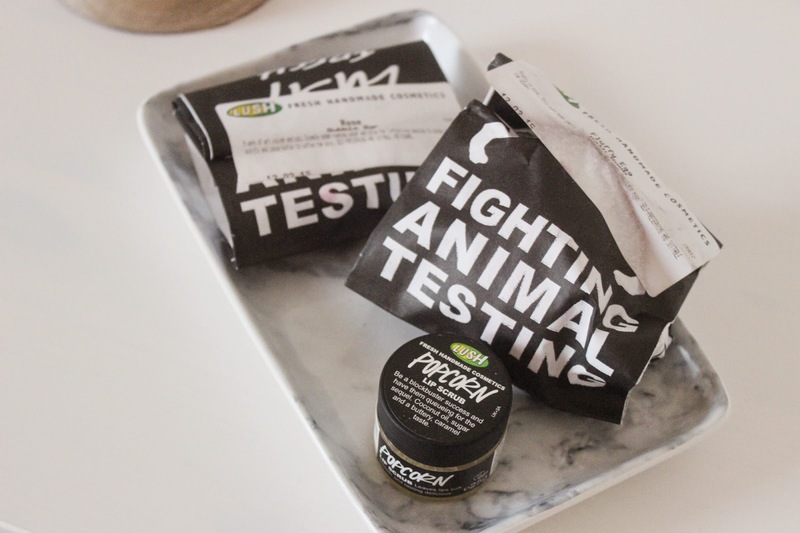 I popped into Lush the other day and picked up a few little treats. 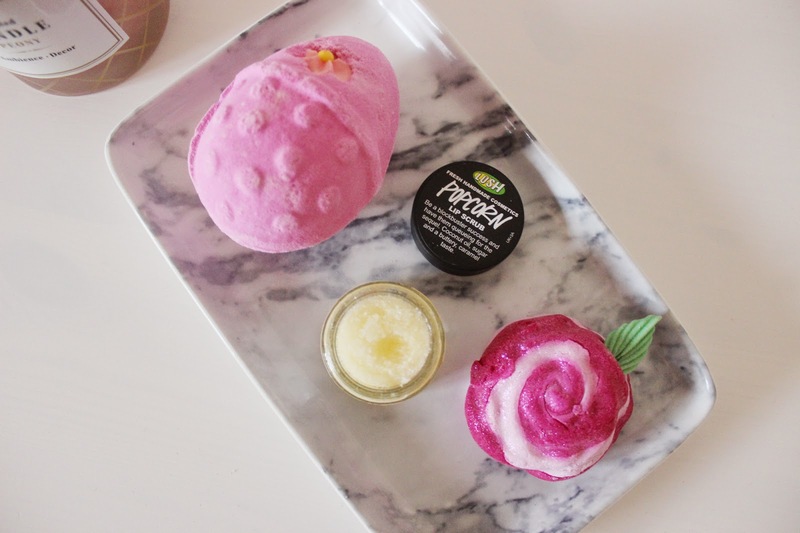 Normally when I go into Lush I end up spending an absolute fortune, so I was quite proud that I only walked away with three items. Anyway, they had an array of beautiful easter themed bath bombs, bubble bars, shower jellys and soaps. And I got my hands on the Fluffy Egg bath bomb. I’ve had this before and it smells incredible! It’s a very girly scent, a sweet smell, almost like the smell of candy floss. And it turns your bath pink! What more could a girl want? 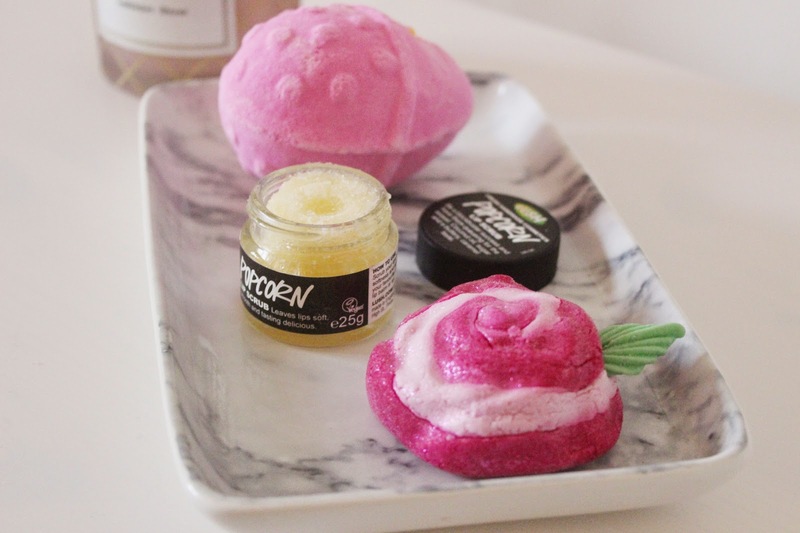 The next item I swayed towards was the Rose bubble bar. 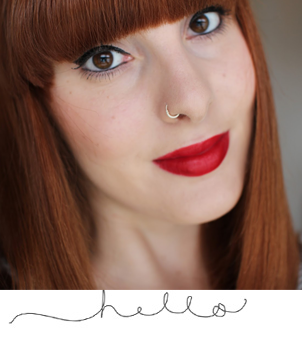 Which I mainly bought for it’s appearance – it’s so pretty and I don’t want to crumble it! It smells exactly like roses too! And last but not least, I picked up a Popcorn lip scrub. 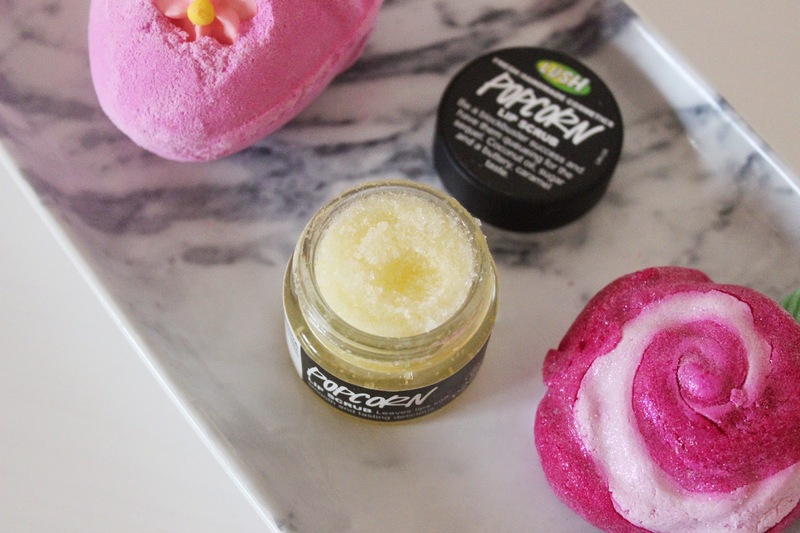 I’ve always been a big fan of Lush’s lip scrubs, they are just one of those products that I really enjoy using, and they taste like heaven which is a massive bonus. This one has coconut oil, sea salt, jojoba oil and a popping candy flavouring. It tastes exactly like sweet caramelised popcorn, delicious. In the past I’ve used Bubblegum, which has a sweet candyfloss flavour – it also tastes amazing! If you like cherry drops the sweets, you’ll love that one.